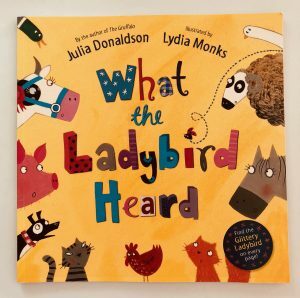 ‘What The Ladybird Heard’ is one of our favourite books by Julia Donaldson and we’ve been reading it since Ivy was just a few months old. 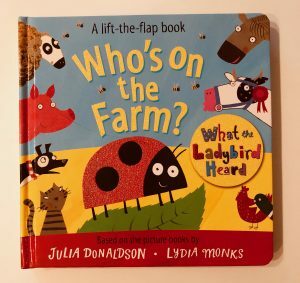 The story is about a tiny ladybird who lives on a farm. All of the animals around her are very noisy but she just quietly goes about her business, not saying a word. Then one night everything changes. 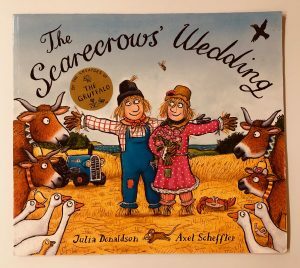 She overhears a conversation between two burglars (the wonderfully named Hefty Hugh and Lanky Len) and discovers their evil plot to steal the farmer’s fine prize cow. She goes to the other animals and for once she speaks up, telling them about her fantastic plan to thwart the burglary. The animals listen carefully and they all agree to play their part, which involves impersonating each other in order to confuse the thieves.